Do you want to know how to get your direct mail opened? Add a printed envelope. Whether you decide to use one colour or full colour, a printed envelope helps your message get noticed. Add full colour graphics, or a call to action statement – the options are unlimited. 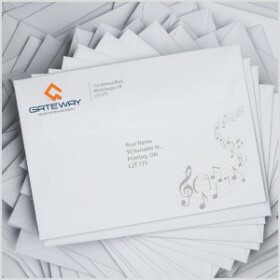 Full colour printed envelopes can help boost your direct mail campaigns. When you add colour to your envelope, it will entice your recipient to open it. While we’re printing the graphics, why not provide us with your database and we’ll merge the address information to produce an addressed envelope all in one step.